It’s the start of the rainy season, and what better way to spend a cold and wet day than to indulge in a cry fest? Yeah, it’s probably due to all that drought we experienced just a month ago, but with the sudden (and very welcome) rain showers we’ve been experiencing, it’s like every Filipina woman’s idea of a good time is to stay home in their rattiest sweats and have a good cry over a nice movie and a cup of cocoa. Combine the rain with a few tears, and presto! Have we got the wettest season ever or what? BTW, put those phones away! What is it with Pinoys and dramatic movies or soap operas? Ever since the 70’s, the Filipino movie-goer and soap opera watcher has been barraged with tear jerkers on the big screen and on their TVs. Our soap operas are not complete if there isn’t a female character that is being maltreated or openly scorned due to her station in life/ her lack of looks/ the fact that she is adopted/ the fact that she has a fish tail instead of legs. Oh yes, there is always something to cry about in Philippine cinema or television. Take for instance the 80’s and 90’s classic method of showcasing everything that has to do with family drama. Since Filipinos are known to be fiercely clannish, TV and movie producers explored all angles designed to bring copious tears to the eyes of the viewer. If the story had anything to do with kids, that was even better. This resulted to the inception of the overplayed adoption or switched-at-birth plots. Nowadays, the trend is all about mistresses. This has been a recurring theme since 2012, and as of the present time there are at least two TV shows about women wrecking marriages but frankly, it’s becoming a bit tired and annoying. Can someone come up with a new storyline please? This is the reason why so many Filipinos, particularly women, turn to their trusty DVD player to watch their favorite movies. Based on the Nicholas Sparks book, The Notebook is credited to bringing the great Ryan Gosling to our attention. Indeed, nothing makes a Pinay swoon more than the sight of Gosling’s character, Noah, who becomes instantly smitten with Allie, Rachel McAdams’ character, and they share an idyllic summer love affair. Throughout the course of the film they fought a lot, got separated by over-protective parents, and found each other again while Allie (McAdams’ character) was engaged to be married to another man. Of course they ended up together, and the story ends at the present time, which shows one of the most heart-wrenching scenes in the history of cinema: both of them older, living in a home for elderly people, spooning on a narrow hospital bed while Allie, in a rare fit of lucidity from her dementia, recognizes her husband and acknowledges his love for her. Why does this story appeal to a lot of Filipinas? We are a sucker for love stories and for never-ending love. It fulfills every aspect of the Filipino dream, which is to marry someone who is so devoted to you until the end of time. Because there’s no such thing as divorce in the Philippines, you can bet that marriage is a big deal in the country, because once the commitment has been made, there’s no turning back from it. Through better or worse, the couple has to make the marriage work. Bonus points if the marriage is a loving one from the start. The Notebook has the hallmarks of the perfect Filipino marriage, which calls for a person to be devoted to his or her one and only no matter what the odds are. This film has gained a cult following, and is the 12th highest-grossing romantic drama film of all time. Starring the darling of Philippine cinema, the “Megastar” Ms. Sharon Cuneta, this film is light years ahead of the other films that came out during the 90’s, due to its far-from-clichéd portrayal of the modern family. Cuneta’s character, Mariel, becomes a stepmother to three children, and she tries to win their acceptance and affection as she tries to define her role in the family. Her depiction of a wife who’s been undermined and unvalued by her husband and two of her stepchildren sheds a new light on how stepmothers are viewed. This resonates among a lot of Filipino women, not just stepmothers mind you, but mothers as well. Most women who take on a passive role in the home can relate, especially at times when Mariel is trying to mask her very obvious misery. 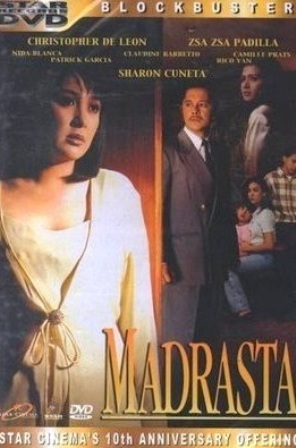 The family drama was shown on Cinemax and garnered a Grand Slam Best Actress honor for the Megastar. She got best actress recognition from all major award-giving bodies in the Philippines, and though this film came out in 1996, this is considered as a classic in the Philippines. Another local movie, this time it stars Ms. Vilma Santos, the country’s “Star for All Seasons” turned governor. She plays the part of Josie, an OFW based in Hong Kong. A lot of OFWs feel that Santos accurately portrayed the trials and tribulations of a mother who is forced to leave her home country to earn a living for her family. While she is working, her employer refuses to let her take a vacation, nor does he deliver her mail to her. She is unaware, therefore, that her husband has died. When she finally returns home to the Philippines she is met with hatred and resentment by her children. The blatant cold-shouldered treatment of Josie’s children were a source of constant worry and frustration for her, and the kids’ open rebellion and failures make her question whether being an absentee mother is right. When Josie ruefully said that fathers have it easy—all they had to do to be recognized as good fathers is to bring home the bacon even though they can’t be around, but the same cannot be said of mothers who provide for their family but cannot be with them physically. That line struck a chord in the hearts of many Filipina OFWs who are going through the same things as the main character. The film was submitted as a nominee to the 73rd Academy Awards for Best Foreign Film, and is a huge favorite in many OFW community movie screenings. Released in the US just a couple of weeks ago, The Fault in Our Stars is a romantic drama based on the novel by John Green. This film was much anticipated by Green’s fans, who collectively refer to themselves as Nerdfighters. In the Philippines, the book was a huge hit especially among the young adult set, and the film is garnering more viewers day after day. No one comes out of the theater dried eyed after watching this, and already a lot of Pinays are trying to get their hands on the DVD so they can watch it again and again, and perhaps do a bit of crying in the privacy of their own homes. 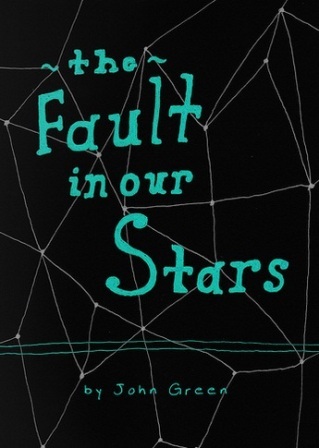 The movie tells the story of Hazel and Gus, two very unique teenagers who share a disdain for the mundane and conventional, and they fall in love and go on an unforgettable journey. What makes the relationship even more astounding is that they met at a cancer support group. This film is already being touted as this generation’s answer to other gut wrenching films such as Love Story and Titanic. The film appeals to most Pinays because it tells of the possibility of finding love even in the most unusual and wretched circumstances. In a nutshell, it gives hope. So there you have it, the top four dramatic movies that Filipinas can relate to. The next time the rain shows no signs of letting up, pop in one of the films here for a nice afternoon of movie watching. Just make sure to keep a box of tissues with you, and enjoy.